Cloudberry Unlimtied supports backup and restore of virtual machines that are created and controlled by ESXi server which is a part of VMware vSphere product. Therefore as the target for a backup it will be necessary to specify vCenter or ESXi Host. vSphere version 5.1 or higher. Step 1. 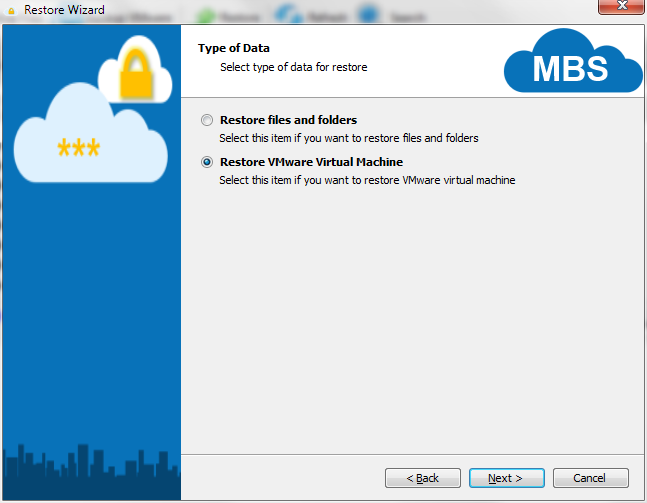 Open the Restore Wizard and select storage you want to restore the virtual machines from. Step 2. Name your restore plan if you want to use it periodically to restore the virtual machines. Step 3. On the "Type of Data" screen select "Restore VMWare Virtual Machine". Step 4. Choose the "Restore Type" to restore from specified time. Step 5. Select "VMware Host Server" you want to restore to, specify login and password for access. It can be vCenter or ESXi Host and you can use IP address or machine/host name. If the target which you chose is vCenter then a list of hosts from the server will be requested, and the host can be selected from the list. Step 6. Choose the "Restore Source" to restore selected virtual machines from the list. Step 7. On the "Restore Virtual Machine as" screen specify names for each virtual machines. You also have the option to replace existing virtual machines with the restored machines by selecting the "Overwrite existing" check box. Step 8. Specify "Restore Options" for virtual machine(s): datastore and behavior for powered on virtual mashines. Step 9. The "Encryption Options" screen allows you to enter a password if one is needed to decrypt the selected files. Step 10. Specify the Schedule. Here you can set up a custom schedule for restore plan. 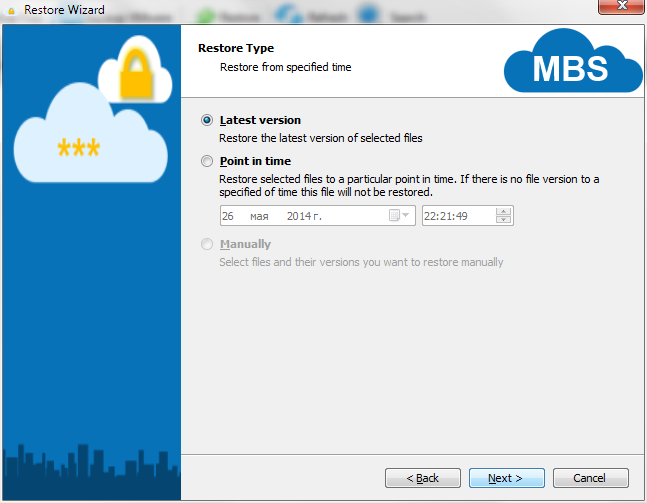 Step 12. Review a Summary and finish the Restore Wizard. MBS desktop agent 5.6 enables you to perform file-level restore for VMWare virtual machines simply by right-clicking on any of those machines in the Backup Storage tab and then clicking File Level Restore. 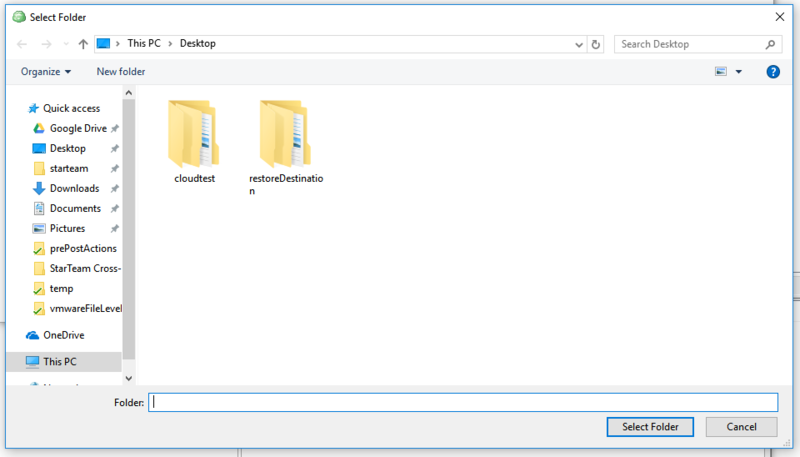 Shortly after the file manager will appear, whereupon you can select the required files and restore them to the specified location.